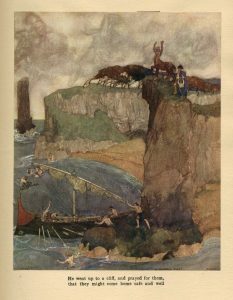 In twenty-first century Western society, there are many examples of children’s literature, in particular picture books, being altered and adapted to become cross-media sensations. As technology continues to develop and children are exposed to more forms of stimuli, picture books and the stories they depict are also evolving to compete within this multimedia market. This analysis will conduct a focused case study on two texts, “Rapunzel” and “Little Red Cap” within “Grimm’s Fairy Tales” in order to gain a more concrete understanding of how picture books transform into cross-media phenomena. It will additionally explore the manner in which this results in making the stories more attractive to young audiences, and how these changes reflect societal perceptions of what is deemed appropriate for young audiences. 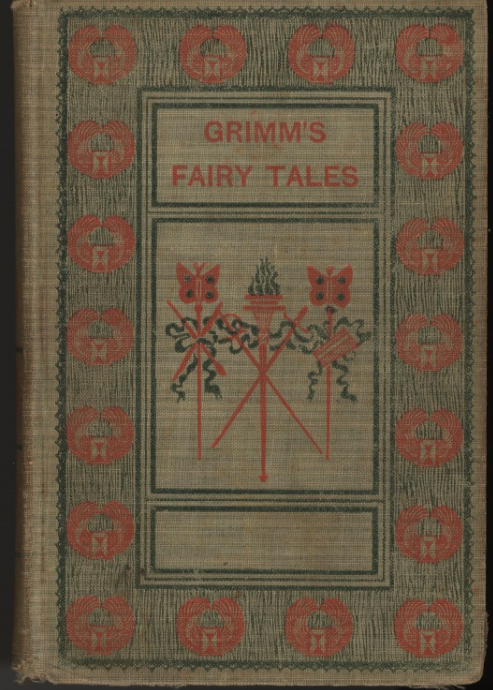 “Grimm’s Fairy Tales”. 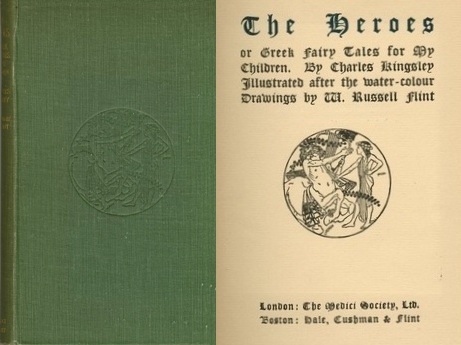 New York: Mershon Company, 1901, Children’s Literature Archive, Ryerson University, accessed 2017. Public Domain. Before analyzing the transformations of the Grimm’s tales, it is imperative to first understand why cross-media adaptations are so popular with young audiences and how incorporating aspects of interactivity cause children to be more likely to engage with these stories. Many picture books have become hybrid book-toy (Meibauer 252) merchandise. In her analysis of the evolution of picture books, Meibauer states, “By and large, these books are distinguished by a playful approach to broadening the child’s spatial concept, but they also demand that the beholders pay active attention,” (Meibauer 252). Instead of simply reading a picture book or having a picture book read to them, children are able to gain tactile, auditory and sometimes scented experiences through picture book-toy hybrids. Being exposed to all of these different forms of stimuli help a child to stay interested within the picture book and thus enable them to engage more directly with the story. This concept can also be applied to the adaptation of picture books to film or apps. Through being able to have an improved visual representation of the story and discover more details about their favourite characters, children can better relate more to the story and therefore become more invested. This heightened engagement of the young audience allows for further marketing and advertising. Toys are developed so that children can continue creating stories with their favourite characters and further invest themselves within the original plotlines. Branding ensures that young readers remain familiarized with their favourite stories and characters, in order to continue consuming goods based on stories that have ultimately derived from picture books. It is evident that in such an age of technological advancement and being in a society where information is obtained so instantaneously, children are currently bombarded with different forms of stimuli. In order for picture books to resonate successfully with children in twenty-first century Western society, they must have the ability to offer different types of stimuli in order to stimulate engagement and interest. “Tangled”, International Movie Database, 2010. Public Domain. provide illustrations that downplay sensitive but significant social issues,” (Zipes 57). This demonstrates twenty-first century Western society’s perspective towards children as altering these texts demonstrates that they are considered too sensitive and vulnerable to be educated on critical social issues. 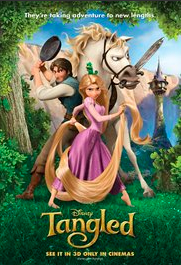 The most recent adaptation of “Rapunzel” is Disney’s film “Tangled”, released in 2010. Although “Tangled” loosely follows the plot of “Rapunzel”, many important plot points from the original story are dismissed. In this version of the tale, Rapunzel serves as a rambunctious female heroine, thus reflecting changing societal ideologies concerning female independence and empowerment. “Science on the trail of The Wolf and Little Red Riding Hood.” Durham University, November 2013. Public Domain. The second text, “Little Red Cap”, after further research, seems to be an adaptation of another story altogether. “Little Red Cap” is thought to be an adaptation of “The Wolf and The Kids”, which was published around 1st century AD (“Science on…”). However, the Brothers Grimm also wrote a tale titled “The Wolf and the Seven Young Kids”. This demonstrates how many times the story of “Little Red Cap”, now more commonly known as “Little Red Riding Hood” has been altered over time to appeal to society depending on the adaptation’s time of publication. The story was adapted to children’s film in Disney’s short film “Little Red Riding Hood”, released in 1922. The latest film rendition of “Into The Woods”, released in 2014, is the most recent adaptation of the classic tale. “Into The Woods” exhibits an inquisitive and autonomous Red Riding Hood character, similar to the adaptation of Rapunzel’s character, thus further appealing to societal perceptions that value female independence and expression. 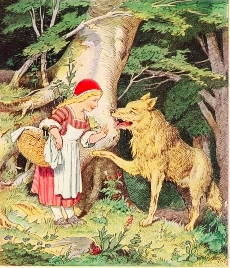 As a result of the transcendence of “Little Red Cap” through time and generations, a plethora of merchandise has been created based on “Little Red Riding Hood”. T-shirts, mugs, and even hand-crafted jewelry have extended the story beyond its plot in literature and film. Different forms of media enable a child to navigate different forms of media outside that of literature (Meibauer 261). 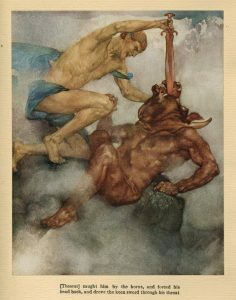 As a result, children may be exposed to the plot of certain stories through the acquisition of associated products as opposed to the story itself. Through analyzing these two texts belonging to the “Grimm’s Fairy Tales”, it becomes evident that children’s stories are adapted to conform to societal views pertaining to what is deemed as appropriate for young audiences. These stories are then transformed into cross-media sensations as children are able to experience the story through different forms of media. Therefore, having more opportunities to form connections to the stories and thus becoming more likely to invest in merchandise affiliated with the plots and characters. This analysis illustrates the manner in which picture books and children’s literature must adapt to compete with new technology and integrate themselves within the new technological and commercial world in order to appeal to younger audiences. However, this also ensures that these classic tales continue to be passed from generation to generation despite the alterations that have been made to adapt them. 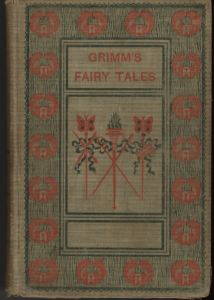 “Grimm’s Fairy Tales.” New York: The Mershon Company, 1901, Children’s Literature Archive, accessed 2017. Kümmerling-Meibauer, Bettina. “From baby books to picturebooks for adults: European picturebooks in the new millennium”. Word & Image, vol. 33, no. 3, Taylor & Francis, 2015, 249-261. “Science on the trail of The Wolf and Little Red Riding Hood.” Durham University, November 2013. Zipes, Jack. “Two Hundred Years After Once Upon A Time: The Legacy of the Brothers Grimm and Their Tales in Germany.” Marvels & Tales, vol. 28, no. 1, 2014, pp. 54-74.